Why aren’t there any cats in the Bible? Ah! That must be the reason. Moses got sick of cats’ sitting on the tablets. 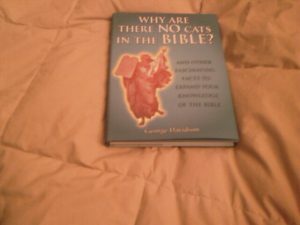 Home » Fannie » Why aren’t there any cats in the Bible?